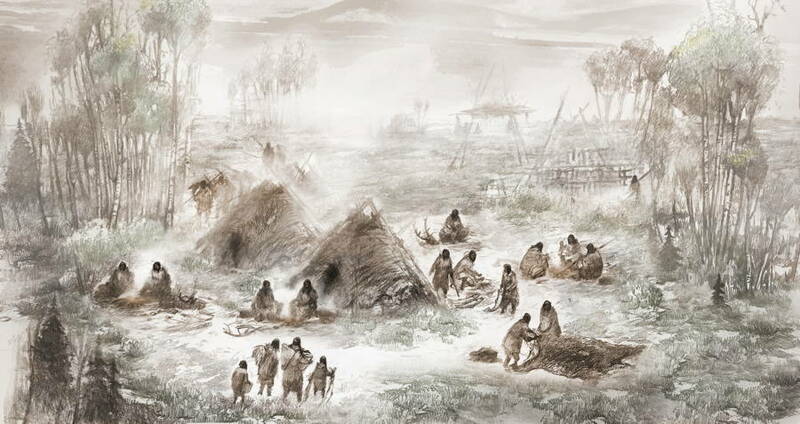 New evidence has unlocked the mysteries of the ancient Beringian population, a previously undiscovered group of Native Americans. Instead, her genome marks her as a member of the wholly separate ancient Beringian population, a newly-discovered group distinct from other known Native Americans. “This is a new population of Native Americans,” said Eske Willerslev, a University of Copenhagen geneticist and a member of the research team. The ancient Beringian population was once part of the greater Native American population when all of these peoples first migrated from Asia into what is now Alaska some 20,000 years ago. However, shortly thereafter, the ancient Beringian population split from the wider group and remained in present-day Alaska while other groups migrated southward into the areas now known as southern Canada and the United States. That said, some researchers on the team suggest another variation on this timeline in which the ancient Beringian population split from the larger group before any of them even made their way into Alaska in the first place. University of Cambridge/NewsweekMap revealing the ancient Beringian migration timeline suggested by the new DNA evidence. Either way, the ancient Beringian population died out not long after splitting from the group. In the 20,000 years since, little has come to light about these people who broke away — until now. Beyond the discovery confirming the existence of this distinct population, the DNA evidence also changes researchers’ outlook on the way in which the first Native Americans swept across the continent. For one, the fact that the ancient Beringian DNA is equally related to the DNA of both the northern and southern previously-known Native American groups suggests that all of these peoples migrated in one single push. This just might settle longstanding debates about whether or not there were multiple migrations and when exacly those migrations occurred. If the new analysis is correct, there may have been one single migration that took place right about 20,000 years ago. Of course, these revelations come only nine months after paleontologists digging in California revealed that they’d found fossil evidence suggesting that humans lived in North America a whopping 130,000 years ago, so perhaps, despite the Beringian DNA discovery, the full story of early North America has yet to be uncovered. After this look at the ancient Beringian population, read up on recent discoveries proving that the Heiltsuk Nation of Native Americans occupied North America long before researchers had previously thought.